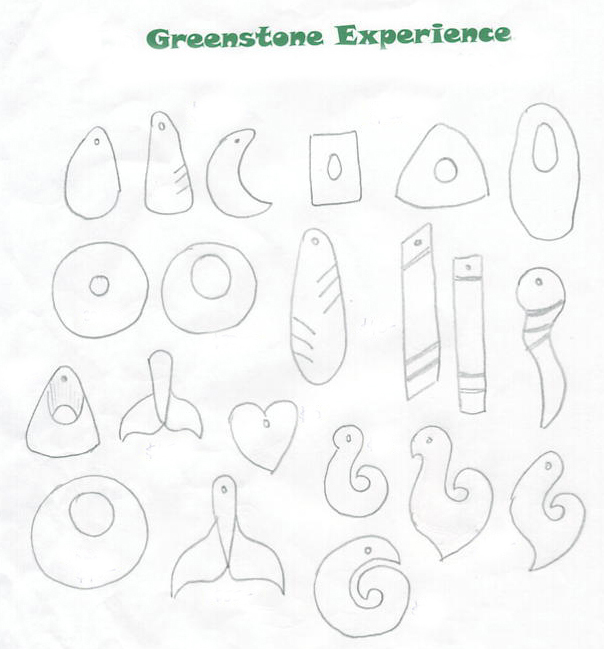 Don't have allot of time then the Greenstone Experience is for you. Prices range from ￥13,000 〜 ￥17,000 using some of New Zealands traditional Basic Designs. 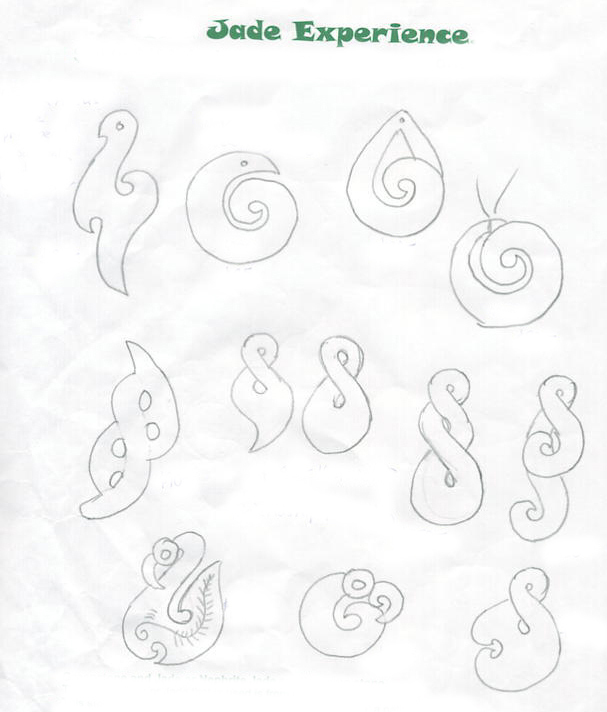 Teardrop Pendants, Toki, Koru, Fish Hook, Whales Tail, Circle of Life, or your own Simple Designs can be created and finished in a few hours. The finished NZ Jade Carving will be yours to wear for a lifetime. At the Just Jade Experience you get to be creative by first putting your ideas on paper having hands on involvement designing your own special design. Once your design has been arranged, and been certified as Ok then Gordon will do the difficult carving process for you carefully carving your ideas into stone. This can take anything from 15 minutes to 2 or more hours depending on complexity of your design. When the carving process is completed, then you will be shown how to finish your roughed out design. This process will take about 2 to 4 hours or longer depending on complexity of your design. The carving is firstly worked with a silicon carbide rub stone until all tooling marks are removed. Then you are guided through a polishing process of sandpaper's starting from 150, 240, 360, 600, 1200, and 2000 finishing paper. Eventually your creation is ready for the final polishing with Gordon's Special Magic Powder, a mixture of Tin Oxide & Crystalite-A polishing abrasive which will make your Jade shine and glisten. Then Gordon will rope up and perform the special handing over ownership ceremony. Finally now you own a specially designed jade treasure that you have put a lot of your spirit, feelings and work into. 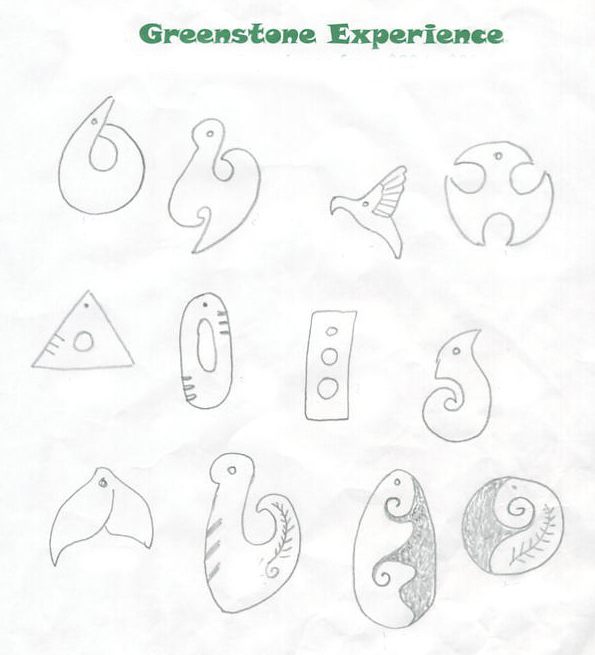 The early New Zealand Maori called the stone Pounamu which means Green Stone. Later it was found that Greenstone was in fact Nephrite Jade, hence Greenstone and Jade or Nephrite Jade are the same stone. 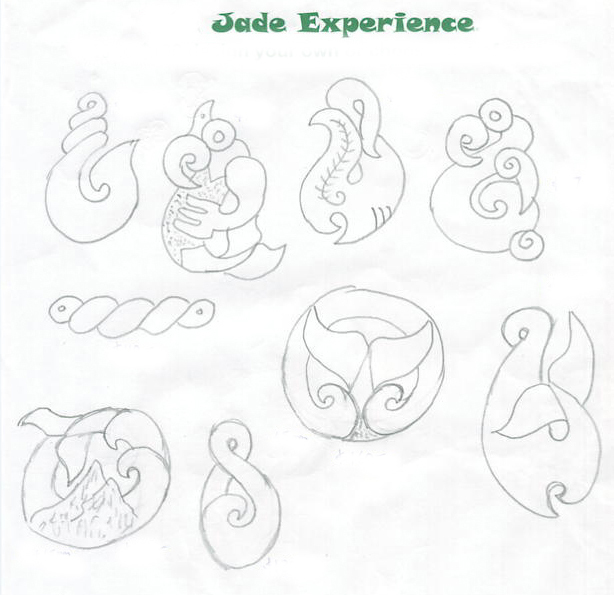 The Just Jade Experience uses New Zealand Jade. NZ Jade comes in many different colours from pale greens to deep dark greens. The jade that is mostly used is from the Hollyford and Cascade area in South Westland NZ. This type of stone is called Totoweka it means 'Blood of the Weka' a native bird of NZ. We have named this jade 'Kiwifruit Jade' as it has similar look to the Kiwifruit. If you would like a different colour of jade, then extra fees will apply as Medium, Dark Green or Marsden Flower Jades are now very rare and very expensive, and are alot harder to work. Tokyo Skytree area take the Tobu Skytree Line from Oshiage Station to Shin-Koshigaya Station, then a short walk to Minami-Koshigaya Station catch the JR Musashino Line towards Tokyo to Yoshikawa Station.